Advancing research critical to addressing climate change is a key part of the MIT Energy Initiative (MITEI)’s mission. Accordingly, MITEI is continuing to grow its eight Low-Carbon Energy Centers, which facilitate interdisciplinary collaboration among MIT researchers, industry, and government on challenges related to mitigating climate change. 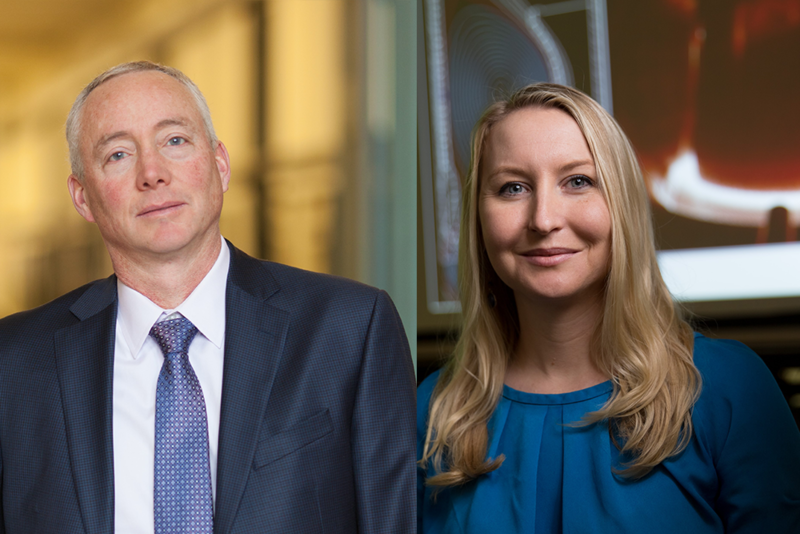 Here, the directors of the center focused on fusion and magnet research—Dennis G. Whyte, Hitachi America Professor of Engineering, and Anne White, Cecil and Ida Green Associate Professor in Nuclear Engineering—discuss their vision for transforming the energy system. Why is fusion research needed to help the world reach its goal of reducing carbon emissions? It’s hard to imagine a more appealing energy source than fusion, which powers the sun and all the other stars by combining light elements into heavier ones. Fusion energy is carbon-free, fundamentally safe, can operate 24/7, produces little waste, and makes few demands on land, water, and other resources. That’s why fusion research has enormous potential for catapulting the country—and the world—into a low-carbon future. What are the major challenges to tapping fusion’s potential, and how will the new Fusion and Magnet Research Center address them? The industrial maturity of high-temperature superconductors has provided a game-changing opportunity. Harnessing fusion power is extremely difficult because it requires the creation and control of extremely hot, charged gases (plasmas) at temperatures above 100 million degrees and insulating them from ordinary matter by using magnetic fields. The stronger the fields, the better thermal insulation they provide. Experiments with a high-field copper device at MIT already achieve the temperatures, pressures, and other conditions necessary for practical fusion reactions on a daily basis. A practical fusion power plant, however, will require magnets built from superconductors; otherwise too much heat would be lost overcoming electrical resistance. High-temperature superconductors uniquely combine the ability to carry current with zero resistance and to operate at extremely high magnetic fields. The vision for the Fusion and Magnet Research Center is to demonstrate the promise of fusion energy sufficiently to place fusion firmly in the national energy plans of the United States. To reach this goal, the center will focus first on the technologies needed to build the large-volume, high-field superconducting magnets required for fusion applications. The center’s ultimate goal is to incubate a multitrillion-dollar low-carbon fusion industry. To that end, the center will work with industrial partners toward the development of a high-field pilot plant, which could provide significant net electrical power to the grid. A concept for such a device called ARC, based on the new high-temperature superconductors, was recently developed by a class of MIT students. While not a complete engineering design, the students subjected their concept to sophisticated engineering analysis and demonstrated the essential plausibility of this approach. What research pathway will the Fusion and Magnet Research Center take to accomplish its goals? The center’s three- to four-year timeline for the initial phase of fusion research and development builds on MIT’s extraordinary record of breakthroughs in plasma physics, nuclear science and engineering, magnet technology, instrumentation, materials, reactor design, and many other fields. High-temperature, high-field superconductors are the breakthrough technology that will make it possible to develop smaller, cheaper magnetic confinement fusion devices. Having built and operated the three highest field magnetic confinement experiments in the world, MIT is uniquely positioned to move this area of research forward: The Institute has a long track record of producing record-setting magnets and boasts one of the world’s leading groups dedicated to advancing superconducting and conventional magnet technology for large-scale systems. The next step on the fusion path will involve developing underlying technologies and engineering designs for ARC, with detailed analysis of its mechanics, neutronics, and thermal hydraulics. Safety, regulatory, and siting issues will be addressed along with cost estimates for construction and operation. The center is also dedicated to identifying and developing other uses for the new superconductor magnet technology in the energy sector. It’s extremely exciting that this breakthrough magnet technology can be applied to near-term improvements in electricity generation, regulation, and storage, while synergistically supporting the ultimate goal of providing energy from fusion. At the same time, the center will continue its strong collaborations with national and international partners in fusion, plasma science, and magnet science. The center’s faculty, scientists, and students participate in a broad range of projects around the world aimed at acquiring a deep understanding of the physics behind controlled fusion and creating validated, predictive models to aid in the development of fusion pilot plants. Throughout this process, the center will endeavor to become a hub for fusion and magnets—bringing together leading experts in fusion science and technology and key stakeholders to identify the real-world technological and engineering needs that must be addressed to propel fusion into position as a major contributor of carbon-free energy.